A new report finds that for the first time, Asian billionaires outnumber those in the United States. The number of Asian billionaires rose by nearly one quarter in 2016 to 637, according to the report published by UBS Group AG and PricewaterhouseCoopers. UBS is a financial advisory company that serves wealthy people around the world. PricewaterhouseCoopers is an international company providing accounting and tax services. The report counted 563 billionaires in America and 342 in Europe. It found that while the U.S. no longer has the most billionaires, it still has the most overall billionaire wealth. This is because more of the world's wealthiest individuals live in the United States. The increase in Asia was due to a sharp rise in self-made billionaires. About 75 percent of new billionaires came from Asia's two biggest economies, China and India. China by far had the highest number of new billionaires, 67, while India added 16. The combined wealth of Asian billionaires grew by almost a third in 2016 to $2 trillion, from $1.5 trillion in 2015. The total wealth of U.S. billionaires rose to $2.8 trillion in 2016, compared to $2.4 trillion the previous year. Most of the increase in wealth came from technological innovation, followed by financial services and materials, according to the report. If the current trend continues, the total wealth of Asian billionaires is expected to be higher than all U.S. billionaires in about four years. Worldwide, the report said total billionaire wealth rose 17 percent in 2016 to $6 trillion. This was largely fueled by the increase in Asian billionaires. It also came from strong economic growth in materials, industrial production, financial services and technology. In Europe, billionaire wealth remained largely unchanged from 2015 to 2016. Overall wealth grew just 5 percent to $1.3 trillion. Europe added 24 new billionaires in 2016, while 21 dropped off the list, a third of them due to death. The report estimated that the 1,542 billionaires studied either owned or partly owned companies that employ at least 27.7 million people worldwide. Billionaires in various countries are increasingly putting more of their money into philanthropy, art and sports. Many invested in major sports clubs, including soccer, baseball and basketball. "According to our analysis, more than 140 of the top sports clubs globally are owned by just 109 billionaires," the report said. Overall, the average billionaire's age is 63. In America it is 67 years old, while the average in Asia is 59. 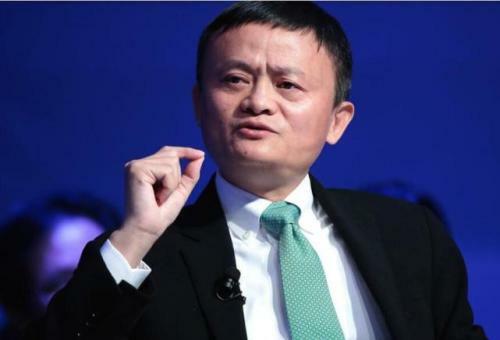 Chinese billionaires averaged 55 years old. Among all billionaires, the report found those involved in technology were the youngest. On average, they became billionaires at age 47. They were very athletic, being members of many sports clubs and teams. His toupee dropped off, revealing his bald head. 5.A new report finds that for the first time, Asian billionaires outnumber those in the United States. He looked at me without speaking, and for the first time I could see the pride that filled him. 6.On average, they became billionaires at age 47.